Through an exclusive partnership with Zero One Racing (a division of Zero One Odysseys), you can now “arrive and race” the 2014 General Tire Mint 400 presented by Polaris RZR. Get behind the wheel of an off-road racecar and be a part of The Great American Off-Road Race in the arrive and drive class, hosted by Zero One Odysseys for the second consecutive year. Zero One Odysseys has become a premier off-road adventure group in Las Vegas, NV. Zero One’s unique opportunities to explore Nevada’s rarely traveled terrain and culture, come from years of relationships and their responsible approach to the people and their land. Since 2007, Zero One Odysseys has specialized in providing people with access to Nevada’s diverse terrain, unique past and spacious beauty. Zero One Odysseys is always looking for ways to cater to the untamed spirit it all of us. With Zero One Racing, you can climb in to a professionally maintained off-road race vehicle and run a worry free race at The Mint 400. Their professional staff will fully prep your racecar and give you the thrill of a lifetime. “Doing one of our Nevada Great Basin off-road tours is an epic adventure and racing in The Mint 400 takes it to a whole new level. Most people spend years and hundreds of thousands of dollars getting to race The Mint; our “arrive and race” program makes it easy, safe and lets our clients concentrate on the parts that matter to them – driving, parties and winning (in whatever order they decide). Our drivers have fun, we handle the stress,” said Earl Desiderio of Zero One. “This is a great opportunity for the average adrenaline junkie to come out, rent a race vehicle and be a part of The Mint 400. 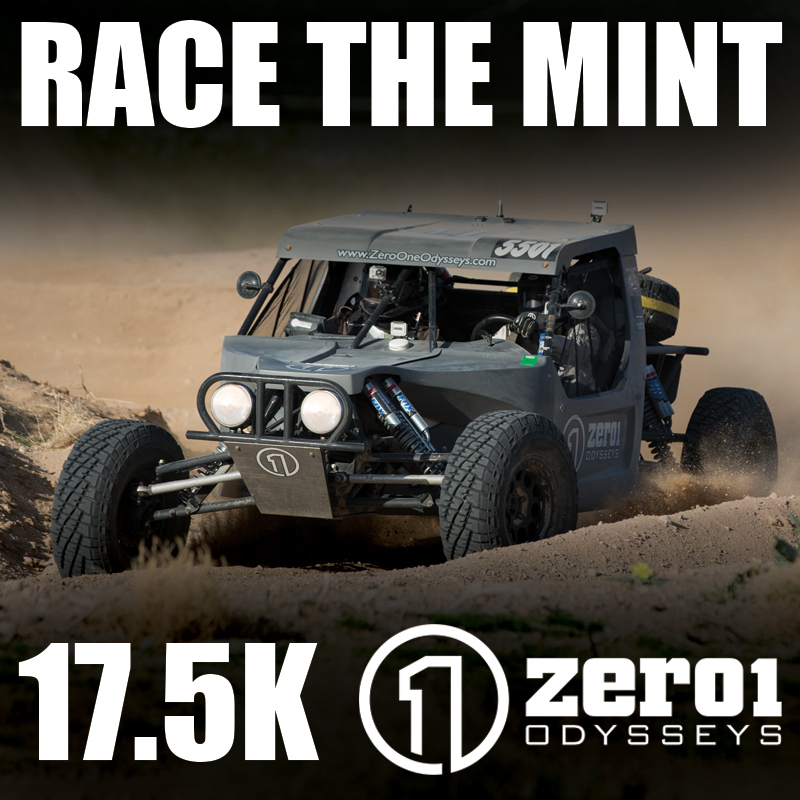 Zero One will give you the experience of a lifetime and bring any race-inspired person up to speed so they can come have a great time and be competitive,” stated Josh Martelli, COO of The Mint 400. 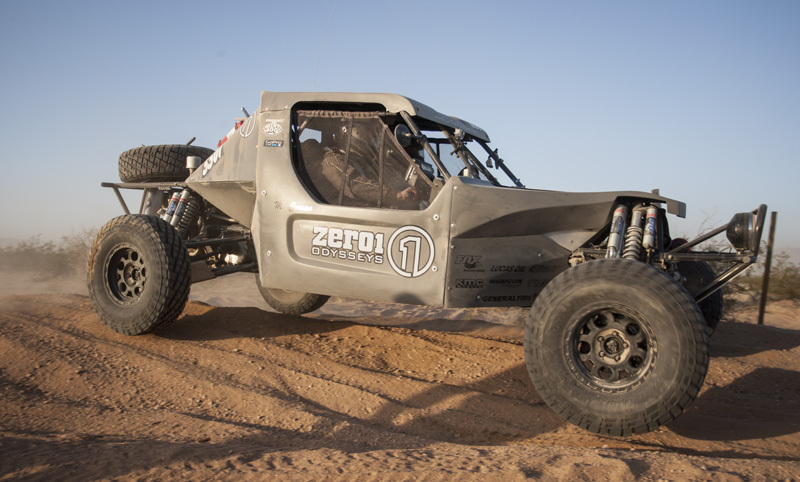 Zero One Racing operates The Mint 400 spec class. It’s an even playing field and driver talent and strategy is the only advantage in the race. Zero One Racing entries will enjoy special status with VIP access to the Miss Mint contest, pre and post parties, a drive down the Las Vegas Strip and a storyline in the Mad Media produced Mint 400 television show. Zero One alumnae include actor Patrick Dempsey, who won the Zero One class at the 2013 Mint 400. Limited Vehicles available so make your reservations now. Since 2007, Zero One Odysseys founders have specialized in providing clients with access to Nevada’s unique past, diverse terrain and spacious beauty, either on two wheels or on four. Their goal is to customize adventures that create stories and experiences that last a lifetime. Zero One lets clients drive the open spaces of Nevada in purpose-built safari style, performance touring cars that deliver a smooth, fast, fun ride over diverse terrain. Zero One Racing offers arrive and drive race programs where all preparation, logistics and support are packaged around a safe, reliable race car – all equally prepared from one source. The magnitude of supporting hundreds of miles of desert race course is often under-estimated. Their race programs are turnkey, taking care of every detail – from hospitality to fuel stops to celebrations. Zero One’s unique opportunities to explore Nevada’s rarely traveled terrain and culture, come from years of relationships and our responsible approach to the people and their land. Access to Nevada’s rally style roads, historic trails and the changing scenery is made possible through long-standing relationships and history with the Bureau of Land Management (BLM). Zero One Odysseys is one of a very few, select groups that the BLM has issued privileged use permits for off-highway tours in the state of Nevada. Drive your Raptor to The Mint 400!